CarGurus has 194 nationwide V8 Vantage listings starting at $35,250. For those with a serious amount of change to spend on a European sports car, especially one that has a lot of style and a great deal of performance, all in a relatively small package, may we present the 2013 Aston Martin V8 Vantage. The engineers, who apparently like to shake things up, have made a number of changes to the rear-wheel-drive V8 Vantage from last year’s model, including adding new standard equipment, such as automatic headlights, rain-sensing wiper blades and a rear-view camera. Available in 4 trims—Coupe, Roadster, S Coupe and S Roadster—the Vantage offers numerous optional packages, such as an exterior carbon package, interior carbon package and a luxe package, which features a premium audio system and heated seats. All trims of the 2013 Aston Martin V8 Vantage come equipped with a 4.7-liter 32-valve quad overhead cam naturally aspirated aluminum alloy V8 engine that makes 420 hp and 346 lb-ft of torque (430 hp and 361 lb-ft of torque in the S trims), matched with a 6-speed manual transmission, which allows the V8 Vantage to reach a top speed of 180 mph (190 mph for S trims). A Sportshift II 7-speed automated manual with paddle-shifters is available as an option for all trims. The 2-passenger, 2-door V8 Vantage is estimated to get 13 mpg city/19 highway with the manual transmission and 14/21 with the automated manual transmission, all using premium gasoline. Luxury abounds in the 2013 Aston Martin V8 Vantage, which in coupe form comes with a hatchback and in roadster form has a soft-convertible roof. The standard equipment on the V8 Vantage includes full-grain leather seats, including Alcantara leather inserts and headliner, a leather sport steering wheel, electronically adjustable driver's and passenger seats, 160-watt Aston Martin audio system with AM/FM radio and 6-CD changer with MP3/WMA/WAV audio file compatibility, automatic climate control, remote control door locks, carbon fiber front splitter and rear diffuser, HID halogen projector headlights, LED taillights and 19-inch V-spoke silver-painted aluminum alloy wheels with Bridgestone Potenza tires. Items such as cruise control, heated seats and Bluetooth hands-free capability are optional for the Coupe and Roadster trims, and standard for both S trims. An integrated Garmin satellite navigation system and two upgraded audio systems are optional for all trims. For safety, the 2013 Aston Martin V8 Vantage features dual-stage driver and passenger front airbags, side airbags, ventilated front and rear disc brakes with an antilock braking system, electronic brakeforce distribution, hydraulic brake assist and emergency brake assist, traction control, hill start assist, rear parking sensors and a tire pressure monitoring system. A security alarm and vehicle immobilizer are also standard equipment. Compared to other vehicles in the super-luxury sports car realm, the handling of the 2013 Aston Martin V8 Vantage feels a little lacking to potential buyers. The Coupe trims, by virtue of having less weight than the Roadster trims, handle the road slightly better, but still not as well as the Porsche 911 Carrera S. Styling-wise, the V8 Vantage received high marks from buyers. When you have a serious competition car like the 2013 Aston Martin V8 Vantage, you’re bound to have serious competition, and the V8 Vantage does. 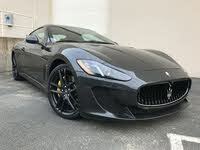 That competition includes the Audi R8, Maserati GranTurismo S, Mercedes-Benz SL550 and, of course, the 911 Carrera S. The V8 Vantage is competitively priced, but somewhat lighter and quicker than the SL550 or GranTurismo S and a more comfortable ride than the 911 Carrera S and R8. All in all, if you have the money to spend on a car like this, the V8 Vantage could be your dream come true. 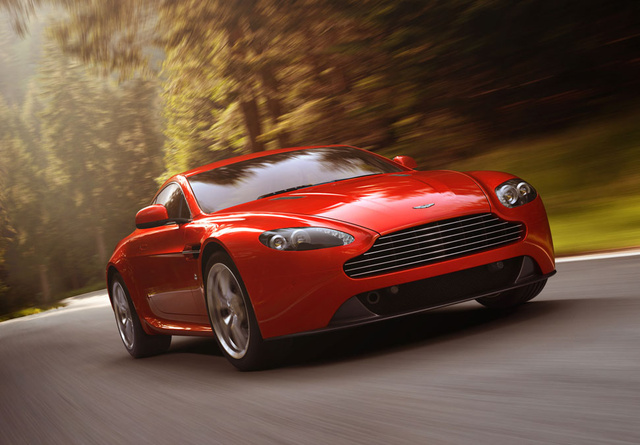 What's your take on the 2013 Aston Martin V8 Vantage? 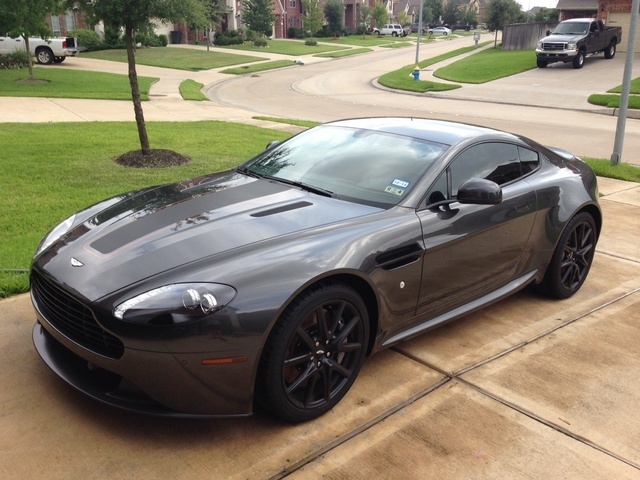 Have you driven a 2013 Aston Martin V8 Vantage?